please see our webpage Victoria Park Homes For Sale. please see our webpage Victoria Park Townhomes and Condos For Sale. Victoria Park Fort Lauderdale is a beautiful neighborhood located in the downtown area of the city of Fort Lauderdale, Florida. This wonderful neighborhood is just north of Broward Blvd and the famous Las Olas Blvd making it one of the most sought after neighborhoods in our real estate market. 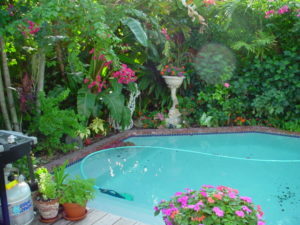 The Victoria Park neighborhood is east of Federal Highway with Sunrise Blvd as its north border, Broward Blvd as its south border and Victoria Park Road and NE 20th Avenue to its east. Victoria Park homes are unique with diverse architecture from the 1920’s – 1930’s wood framed homes to the newly built modern construction. The old florida style homes are well represented in Victoria Park with some of the homes built with Dade county pine, wood floors, exposed wood beamed ceilings. 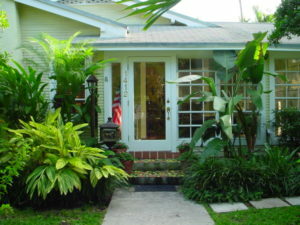 Most all of these charming homes have be restored and modernized, making the real estate in Victoria Park the most unique in Fort Lauderdale. Other designs in Victoria Park homes include Contemporary, Spanish and Mediterranean, Mid Century, Key West Style and even Art Deco. Victoria Park homes range in size from the small charming old florida style of 1100 Square feet to over 6000-7000 square feet in the modern contemporary homes. Townhomes are also popular in Victoria Park which is the newer construction, most ranging in size from 1500 square ft. to over 4000 Square feet. Prices of homes and townhomes in Victoria park can range in price from $350,000 into the multi-million for the larger single family homes. There’re also a few condo buildings located in Victoria Park located just a few blocks from Las Olas Blvd and a high rise located near Sunrise Blvd. Prices of condos range in price from the mid $100,000 into the mid $400-$500,000. for your private showings of these beautiful homes in Victoria Park.